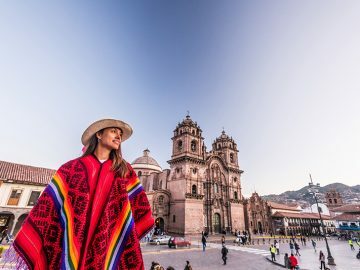 You’ve discovered that you love to travel by yourself. What do you enjoy most about going on solo adventures? I think it’s really empowering. It’s like a retreat with a bunch of strangers that end up becoming your friends. And despite the fact that you’re surrounded by people, you can find solitude. That’s always really important to me, to have some quiet time. I think we’d all be happier if we had a closer connection to nature in general. 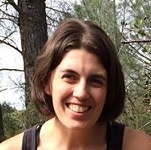 It gives me a lot of joy, and I always feel really grounded after the experience. 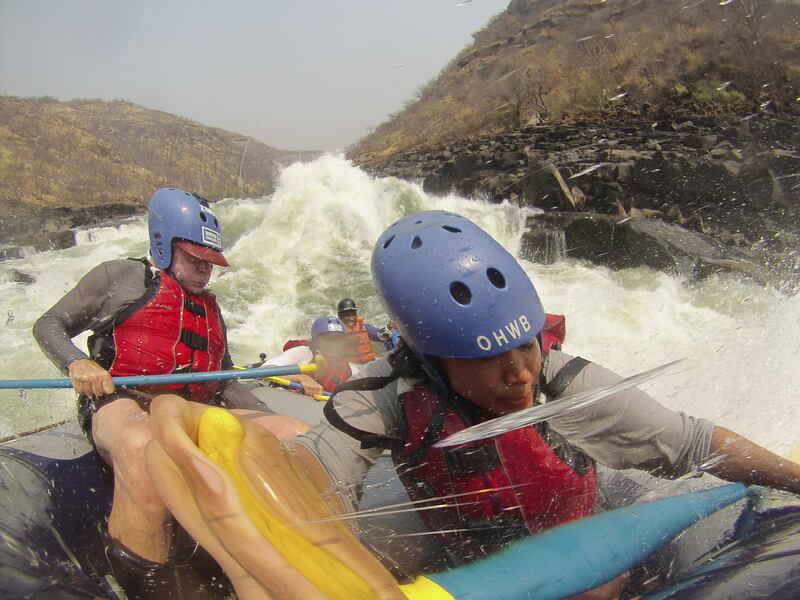 Your most recent adventure was rafting the Zambezi in Africa. What attracted you to such a notorious river? Africa has always been a dream. It was a life-long fulfillment sort of thing just to land on the continent. So I thought what better way to see a particular part of the world than on a river? I had these expectations of beauty, which were just completely blown away. But then honestly, it was the Class V.
Did the trip live up to all of you expectations? It totally blew it out of the water, literally. Obviously I was contrasting it with the epicness of the Grand Canyon and how different those experiences were. The Canyon, for me, was all about the side trips and side canyons. 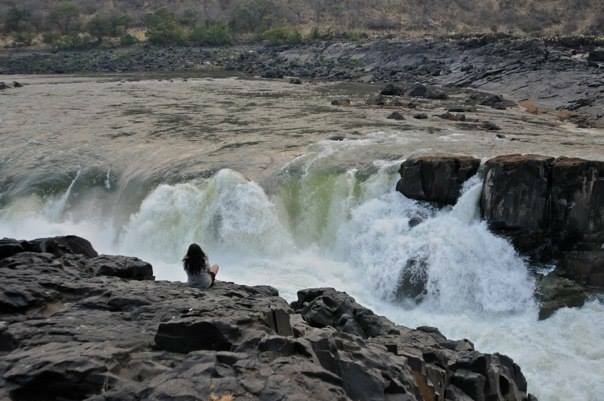 For the Zambezi, the water itself, the actual runs and the rapids, was where the beauty was. Ghostrider was my favorite thing in the entire world. If you need one reason why I would repeat this trip: Ghostrider. 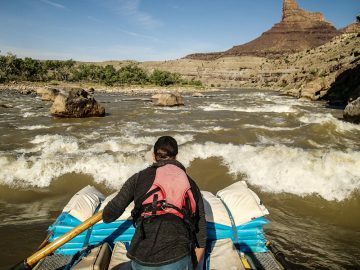 Were you at all worried about rafting some of the biggest commercially run rapids in the world? I guess anytime we work with forces of nature there can be some anxiety about it. I have a lot of respect for water, both on rivers and oceans. But did I ever feel unsafe? No, I felt absolutely safe. Was I nervous about Ghostrider? No, I was excited and pumped about it. 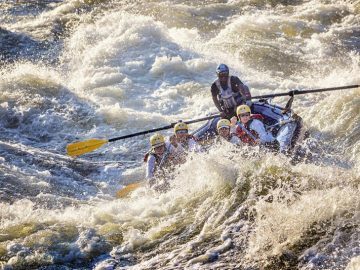 So besides running the Zambezi, what were some of the other highlights from your trip to Africa? 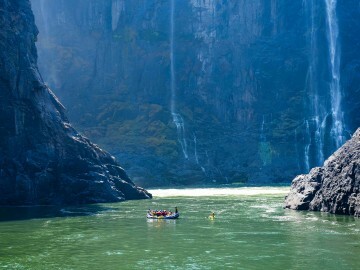 You’re going back to the Zambezi for a second run, and have already done the Grand Canyon. Those are two of the biggies. What comes next for you? I know! There are rivers in India, Chile, there’s the Salmon, the rest of the Colorado… I would be happy on any river to be honest. Any river time, for me, is good time. This article originally appeared in the 2015 OARS Adventures catalog. Order your FREE copy of the latest edition here.